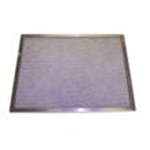 The American Metal Filter RHF1218 Range Hood Filter is a washable filter that helps to extend the life of the filter. The American Metal Filter RHF1220 Aluminum Filter is made with an aluminum frame, surrounding layers of expanded aluminum and aluminum foil. The American Metal RHF1140 Microwave Air Filter is used in ducted and ductless range hoods, as well as over the counter microwave ovens. The American Metal RHF1141 Range Hood Filter is used in ducted and non-ducted range hoods, as well as over the counter microwave ovens. 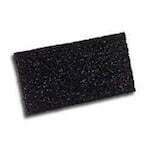 The American Metal RHF1143 Grease Filter is used in ducted and ductless range hoods, as well as over the counter microwave ovens. 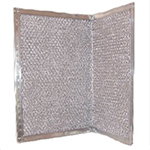 The American Metal Filter RHF1144 Microwave Filter is constructed with an aluminum frame that surrounds layers of expanded aluminum and aluminum foil. 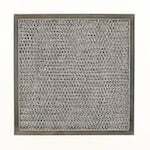 The American Metal Filter RHF1309 Aluminum Air Filter is constructed with an aluminum frame, that surrounds layers of expanded aluminum and aluminum foil. 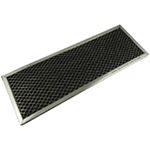 The American Metal Filter RHF1310 Range Hood Filter is used in ducted and ductless range hoods, as well as over the counter microwave ovens. The American Metal RHF1312 Grease Air Filter is used in ducted and non-ducted range hoods, as well as over the counter microwave ovens. In Stock! Ships in 25 to 26 business days. In Stock! Ships in 33 to 34 business days. 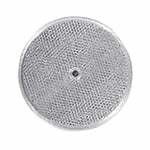 The American Metal Filter RWF0701 Wing Range Filter is made with an aluminum frame that surrounds layers of expanded aluminum and aluminum foil. The NuTone 19379-000 Compatible Range Hood Air Filter is made with an aluminum frame surrounding layers of expanded aluminum and aluminum foil. 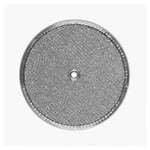 The American Metal Filter RRF1001 Round Grease Filter is used in ducted and non-ducted range hoods, as well as over the counter microwave ovens. The Miami-Carey 247VP Compatible Round Aluminum Filter reduces grease, smoke as well as dust and then re-circulates filtered air back into the kitchen. The RangeAire 610008 Compatible Round Grease Filter is used in ducted and non-ducted range hoods, as well as over the counter microwave ovens. 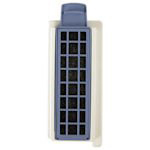 The RangeAire F610-008 Compatible Round Range Air Filter is used in ducted and ductless range hoods, along with over the counter microwave ovens.